I am a HUGE bread lover. As a matter of fact, I can’t think of one that I don’t like. I just wish my hips didn’t like it so much. HA! Growing up my mom made the most AMAZING homemade bread. It was seriously to die for but it was also very time consuming. As you have seen on the blog here, I am more of a quick and easy type of baker. I am in love with my bread machine. I don’t even have a newer fancy one. I think we got ours as a gift from my grandparents not long after we were married. I have thought about upgrading over the years, but this one has never let me down. The same goes for this recipe. I have never had it fail and I make it a lot. I mean A LOT! 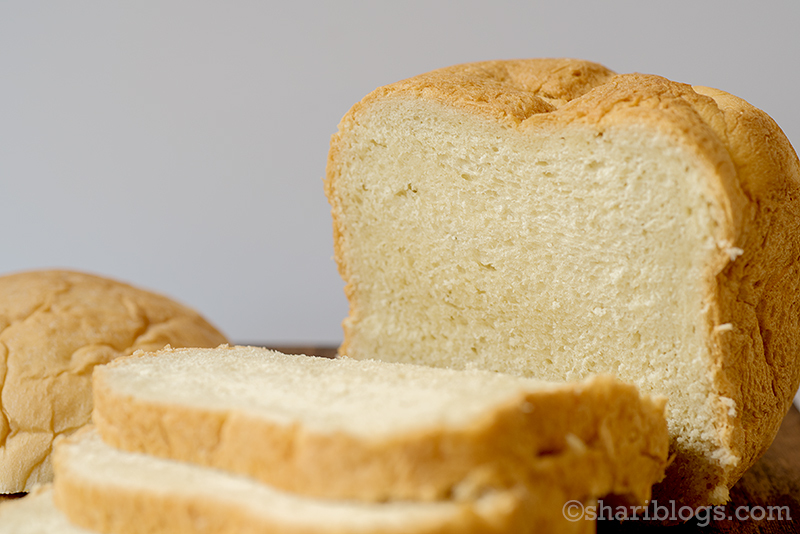 How much easier can you get than a Bread Machine White Bread recipe. It has the BEST texture and it never ends up with those larger holes in it like you get from a lot of bread machine recipes. It is always perfect!! We like it all times of the day, but especially in the mornings warmed up with a little butter. If you have a bread machine, you HAVE to try this. Like NOW! 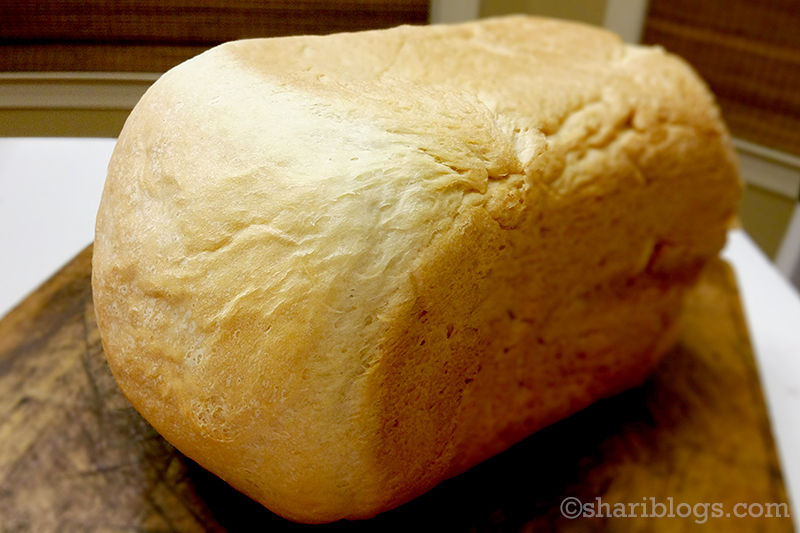 I baked this bread late last night and snapped this picture with my phone before I wrapped it up. Look at that soft crusty outside. Yum!! Put water, oil and salt in your bread machine. Next add in the flour on top of the liquids. Pour sugar into a corner of the bread machine. Pour dry milk into another corner. Make a small hole in the center of your flour and pour in the yeast. 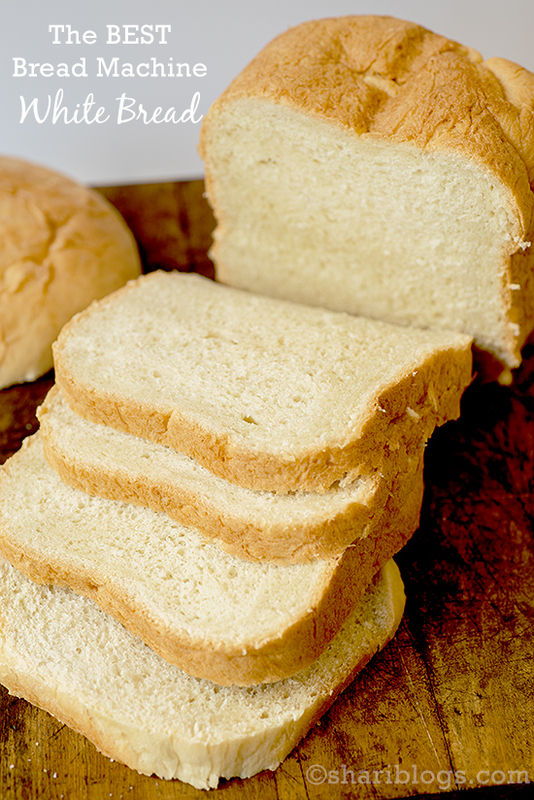 Set your bread machine for a basic loaf and choose the crust setting you prefer. Hi shari…..i am a 60 something lady from south africa. I work for a vet and love it…. And i love cooking and baking so love your blog.